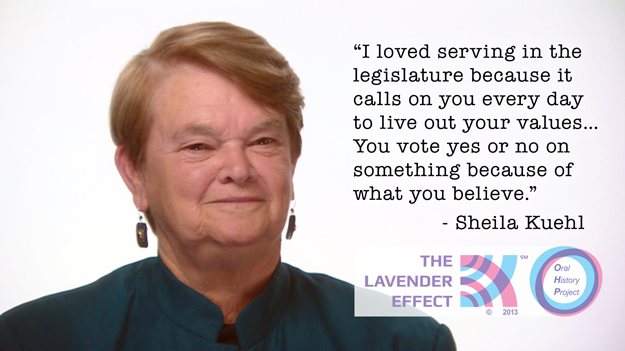 A trailblazing politician, SHEILA KUEHL, has served Los Angeles well and paid particular attention to vulnerable populations, including the LGBTQ community. She was the first openly gay politician to serve on the California State legislature, where she served out all possible terms. Currently running for LA County Supervisor, she has opened Kuehl Consulting, served as the Founding Director of Public Policy Institute at Santa Monica College and authored “Safe At School,” a policy white paper addressing the need for safe schools for LGBT students. Among many other causes, Kuehl has fought for over 171 bills that were signed into law, including legislation that has established paid family leave, established the rights contained in Roe vs. Wade in California statute, overhauled California’s child support services system, established nurse to patient ratios in every hospital, required that housing developments of more than 500 units have identified sources of water, furthered protection for domestic violence victims and their children, prohibited discrimination on the basis of gender and disability in the workplace and sexual orientation in education, and increased the rights of crime victims; safeguard the environment and drinking water. Beginning in 2003, she led the fight in the legislature to achieve true universal health care in California, and, in 2006, and again in 2008, brought SB 840, the California Universal Healthcare Act, to the Governor’s desk, the first time in U.S. history a single-payer healthcare bill had gone so far.